¼ cup Water (more or less). These are the shrimp I am using. Our local supermarket has been carrying them frozen for a while now and the package size is perfect for me. You can use larger shrimp and chop them up but the flavor of these is terrific (I uses them for my Shrimp Cocktail, in fact). The canned cocktail size are a fairly tasty substitute too but, unfortunately, the texture is nowhere near as good). 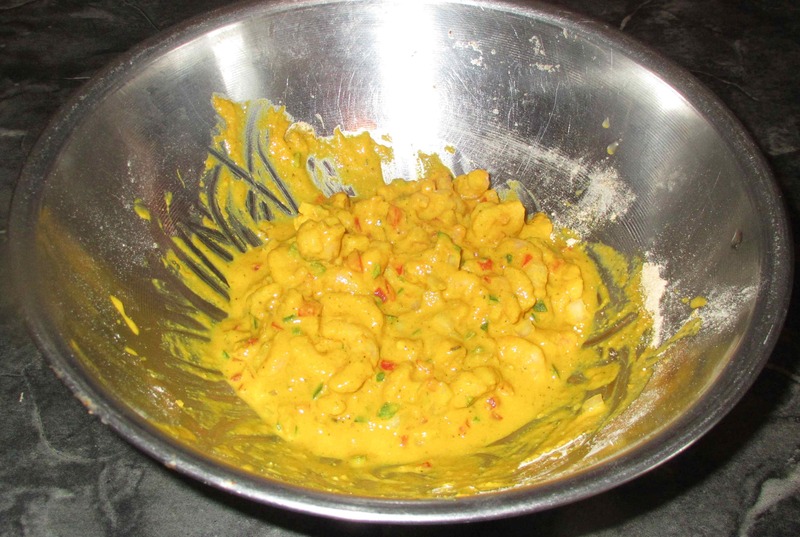 First, blend together the besan, turmeric, salt, pepper, celery seed and cumin and then add enough water (including any thrown off by the frozen shrimp) to make a very thick batter (about a quarter cup should do it). Now mix in the shrimp and other solid ingredients so that you have a firm mass that will ‘pile’ up rather than settling into a level pool of batter. You can add more water or besan to get this right. 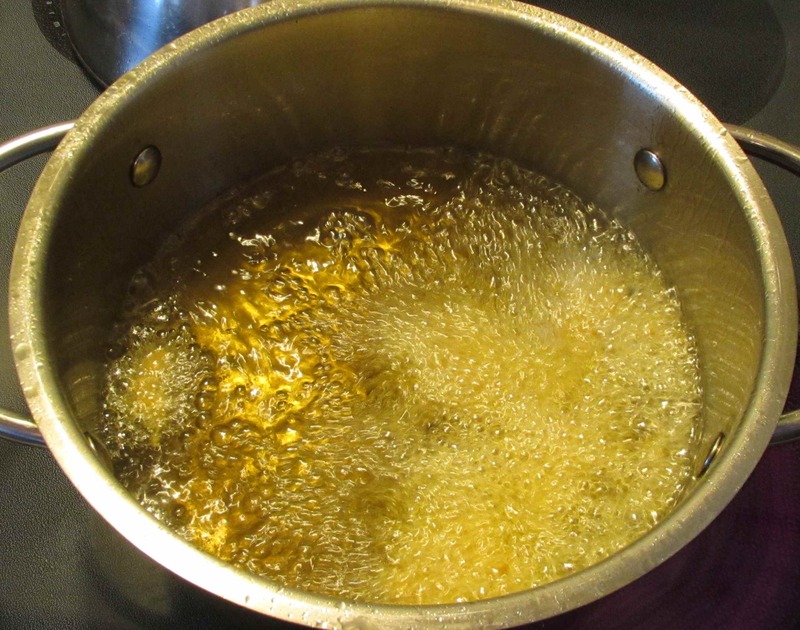 Heat deep-frying oil to medium and then pick up a generous heaping teaspoon of the batter mixture (using two spoons helps). Drop it carefully into the oil and repeat, doing no more than 4 or 6 at a time. 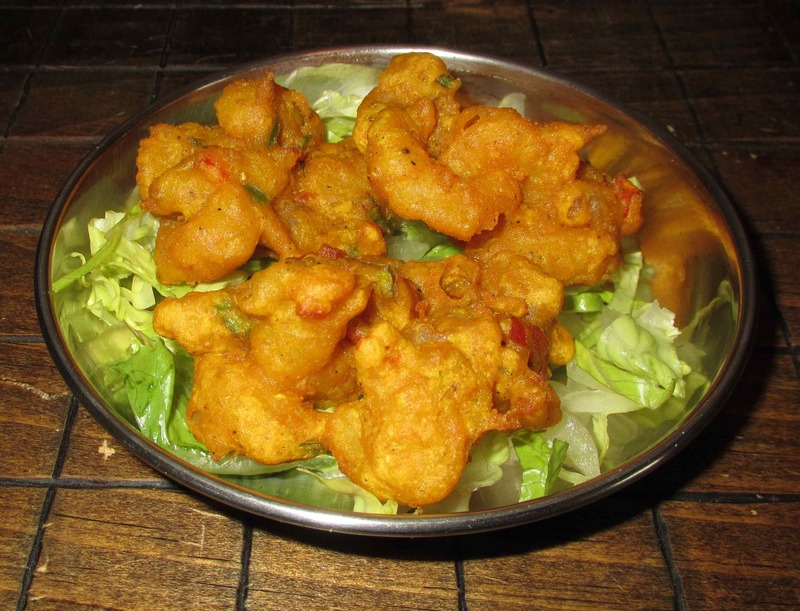 Make sure the oil is not too hot as you want the pakoras to cook all the way through without getting too dark on the outside. As they float to the surface of the oil, remove to paper towels to blot dry. Continue until the batter is all done and then serve with a dipping sauce of your choice. 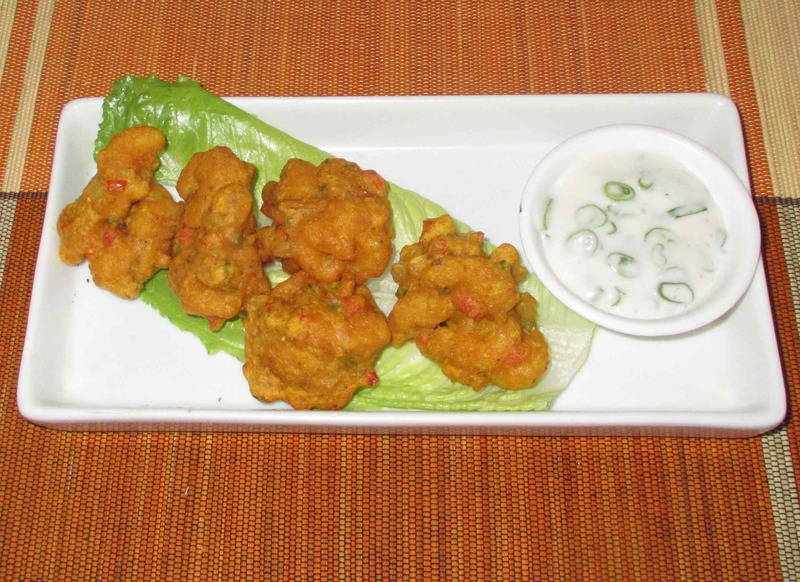 I served these Pakoras with a little cucumber salad dressing and chopped green onion but you could use a sweet chili sauce, chili pickle in yoghurt, or anything that suits your fancy. I’ve pretty much always used raw shrimp before too. 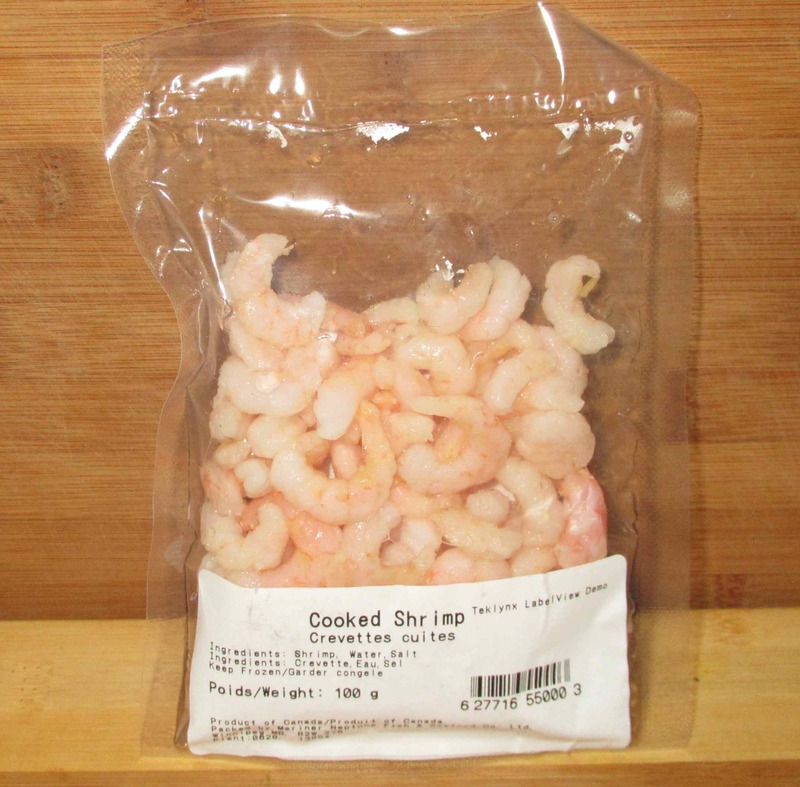 Lately though, we have been getting these really decently priced bags of frozen cocktail shrimp that are really tasty. They worked out pretty nicely here although they are better suited to cold preparations like salds etc.